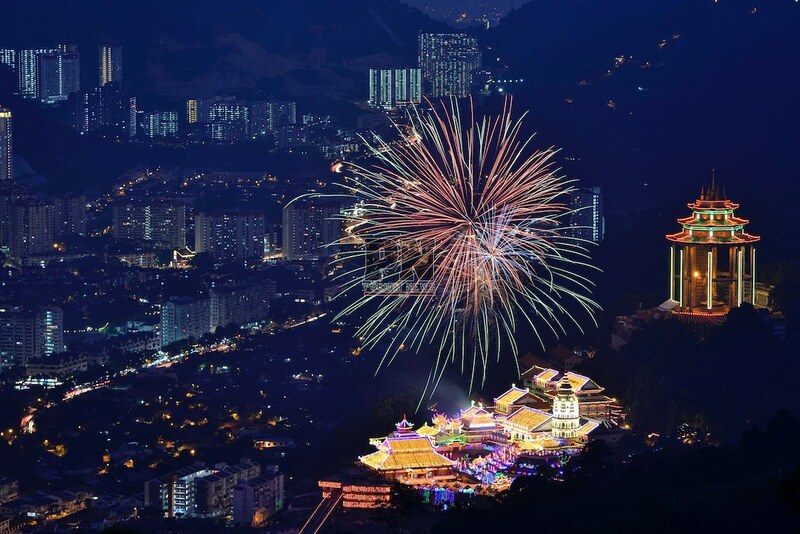 GEORGE TOWN, Feb 11 – The 127-year-old biggest Buddhist temple, Kek Lok Si Temple in Air Itam, was transformed into a magical fairyland as thousands of colourful lights set the temple complex in Southeast Asia aglow for Chinese New Year celebration next Friday. At exactly 7:50pm, about 20,000 traditional Chinese lanterns and thousands of modern neon and LED lightings were switched on simultaneously. To cap the magnificent evening, a spectacular display of fireworks lit the skies after Chief Minister Lim Guan Eng and the temple monks led devotees in a prayer session.